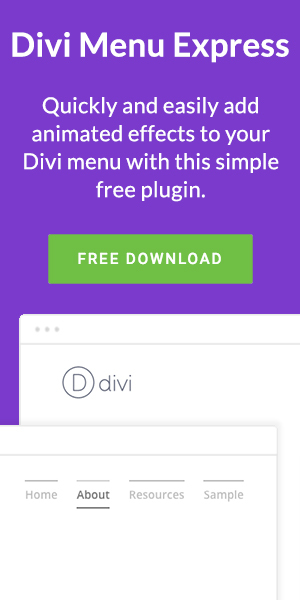 There are a whole bunch of of free Divi plugins out there that add some great functionality to your Divi site, but there are some really great premium plugins too. This list celebrates 7 plugins which will help save you time, create a better experience and enhance your website. Created by Superfly (they also make some great Divi Child Themes), Image Intense features a staggering 22 different image hover and overlay effects. Every effect is stylish and polished to perfection, instantly adding an extra level of interest to your Divi website. 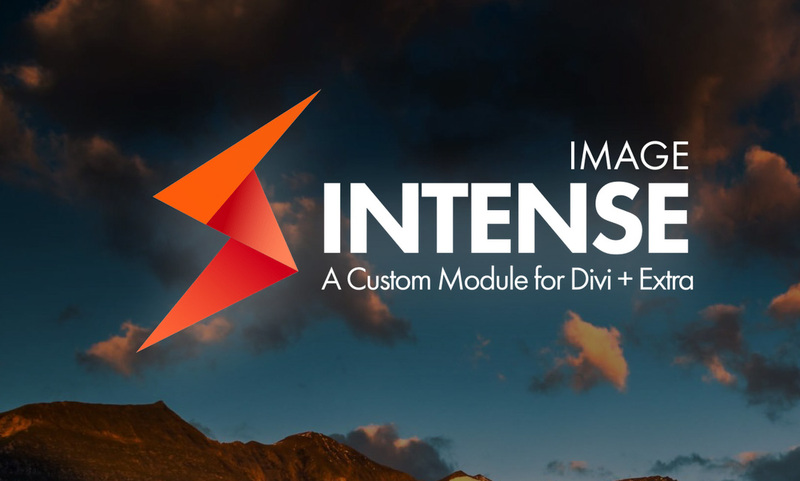 We’re kicking off our list with Image Intense because it might just be one of the best ways to make your Divi site look more professional with the minimum amount of effort. Superfly offer two license options for Image Intense; the first is a mere 25 USD and allows you to use the plugin on 1 live and 1 development website, alternatively for just 45 USD you can use the plugin on as many different sites as you like. Out of the box the Divi testimonial module is a little… boring. Even though the Elegant Themes team would probably never admit it just one look at the free layouts they give away confirm that they think the same: they prefer to alter the slider module content to repurpose it as a testimonial slider instead. 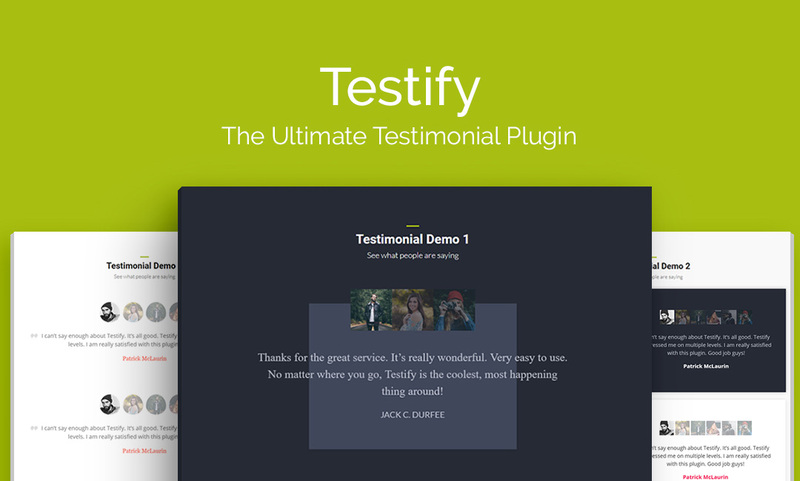 Save yourself the hassle and upgrade your testimonials with Testify. Testify also integrates with a range of contact form plugins (such as Contact Form 7 and Gravity Forms) and allows your clients to add their testimonial directly to your website! Testify is just 26 USD for a single site license, 39 USD for 3 sites or 69 USD for unlimited sites (includes 1 year of support and updates). You can also buy a lifetime license for $139 for a lifetime license. I’m a big fan of this next plugin because the Divi blog page doesn’t get much love. With just two default blog styles out of the box the Divi theme is desperately due for some more styles to be added. Luckily the Divi Blog Extras plugin helps to fill that gap. With 6 varied and stylistic blog page templates to choose from you should be able to find one that suits your website style. Setup is as easy as you’d expect, simply install the plugin and then insert the module through the Divi Builder. You can then tweak colours and other settings to get it looking just right. 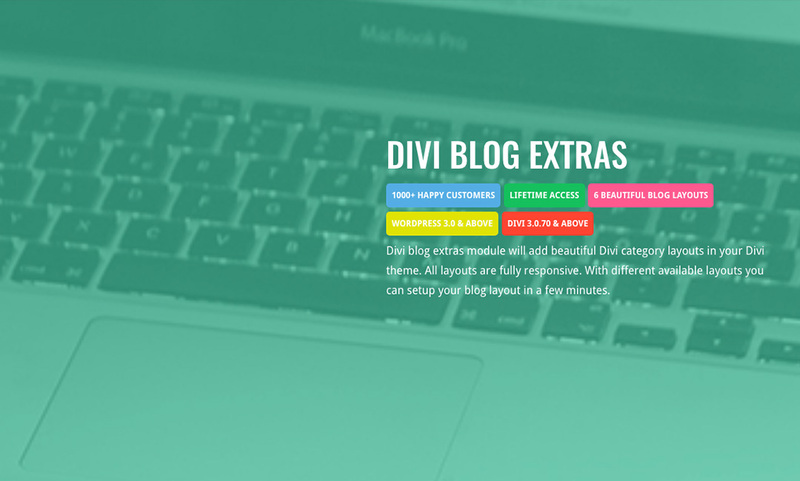 Just 19 USD for a single site license or 49 USD for multiple, the Divi Blog Extras plugin is a fast, simple way to make the Divi blog page more interesting. 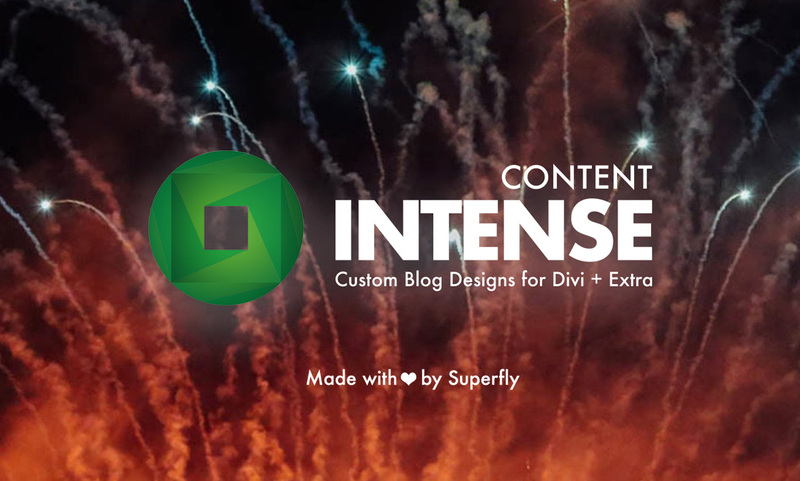 Another plugin from the team over at Superfly, the Content Intense plugin is a plugin to help you supercharge your Divi blog module. With a whole host of options to tweak and refine, this is the plugin for you if you’ve wanted more control over your Divi blog. Simple enough for beginners but powerful enough for designers, Content Intense provides a way for you to match your blog module to better suit your website so that it stands out (or blends in – depending on what you’re going for). It’s one of those plugins where you really need to check it out to get the full picture, just don’t be surprised if you come away inspired. Just like Image Intense, Content Intense costs 25 USD for a 2 website license (1 live and 1 development website) or 45 USD for use on as many sites as you like. Some plugins are so simple and so inexpensive that they are a no-brainer, Divi Logo Swap is one of these. This little plugin has one job: allow you to use two different logos on your site, one in the standard navigation bar and another in the fixed navigation bar. This is great when you or your client have a long or complex logo because it means that as the user scrolls down the page you can remove the distraction and display only the logo icon. Sure, you can achieve this by adding some custom code to your child theme, but for just 5 USD for use on unlimited sites the Divi Logo Swap plugin makes this really simple. If you want to save yourself the time, the effort and just get the job done then this is the plugin you need. Coming in at number 6 on our list the Divi Breadcrumb Module is another very simple but useful plugin. If SEO is your priority and breadcrumbs are a concern then this plugin is one of the easiest, code-free ways of adding them to your Divi site. By adding a dedicated module to your Divi Builder you can choose to add your site breadcrumbs wherever you like. 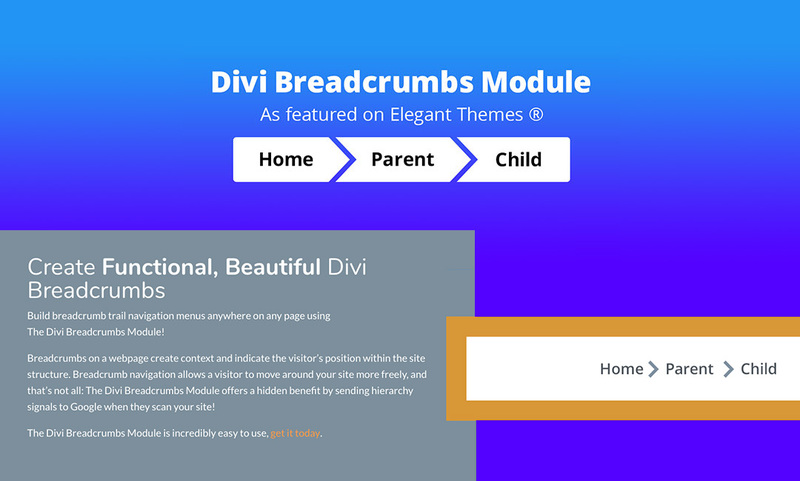 Boasting an easy setup and virtually unlimited designs, at just 15 USD the Divi Breadcrumb Module plugin is another plugin that could save you time. Finally we round off our list with one of the most respected, most loved and most well known Divi plugins available. With more than 50 available Divi adjustments at the flick of a switch, the Divi Switch plugin puts power and control at your fingertips. 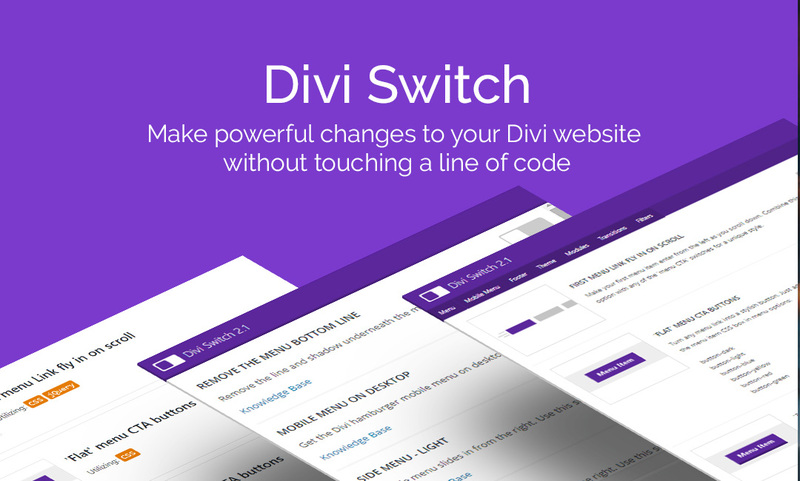 Divi Switch tackles many of the most common Divi changes that users want to make without the need to find custom code or hire a developer. Once installed you can make changes to the menu, mobile menu, footer, modules, transitions and more. If you’re looking for the ‘Swiss army knife’ of Divi plugins then this is it. Divi Switch is available from Divi Space for just 26 USD (single site license), 39 USD for (3 sites) or 69 USD (unlimited sites). And that wraps up our list of 7 Premium Divi Plugins That Are Worth Paying For, I hope you’ve found some useful premium plugins in this list. Maybe you’ve seen your favourites or perhaps you’ve discovered some new tools to help enhance your site or speed up your workflow? As always, thanks to the Divi community and developers for creating these great plugins and making all of our designs shine – and thank you for supporting them.